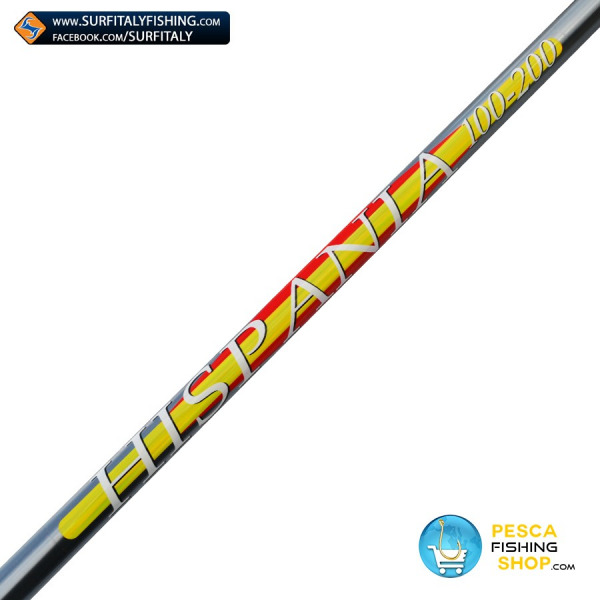 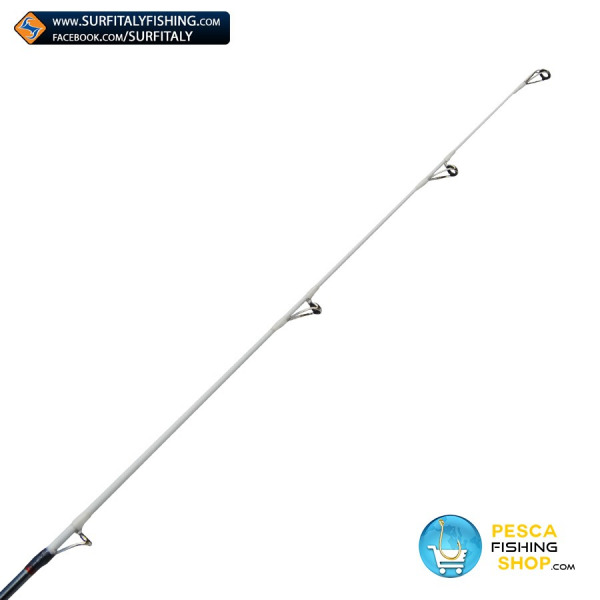 Surfcasting fishing rod 3 Sections shore angling rod Hispania Surfitaly with Fuji rings. 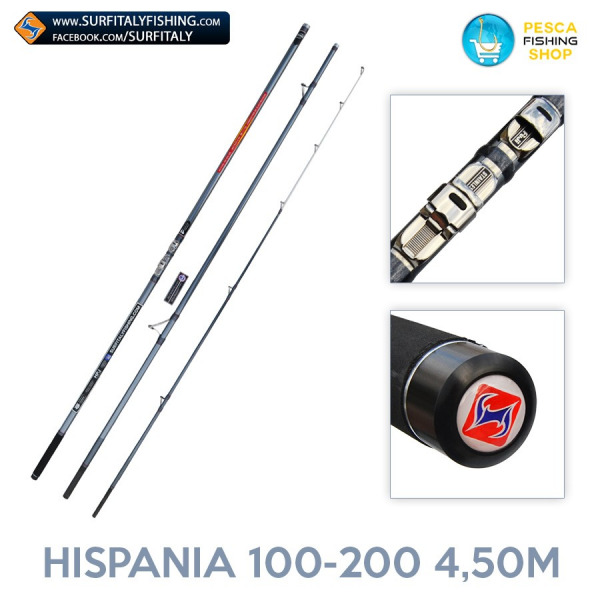 Shore angling rod with 200 grams casting power. 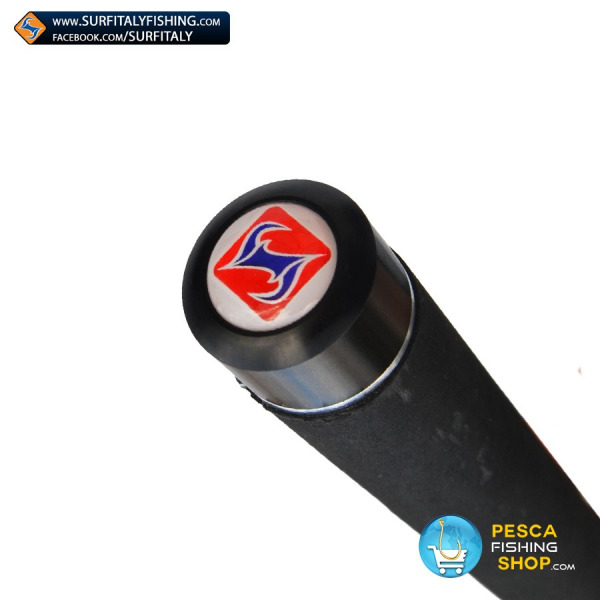 It is reliable and powerful and it is made in carbon (CRR) with quick reaction. 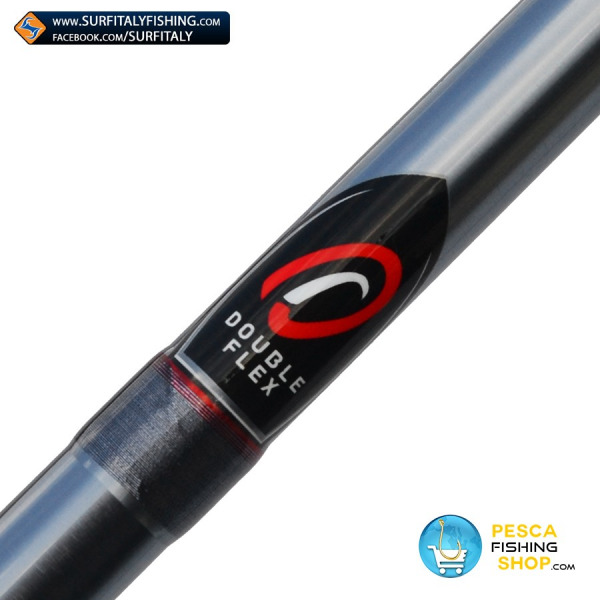 The solid carbon tip offers excellent sensitivity. 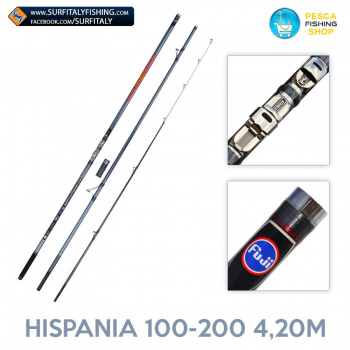 Hispania 100-200 is assembled with original Fuji Alconite Low Rider rings and original Fuji LS-7 reel seat. 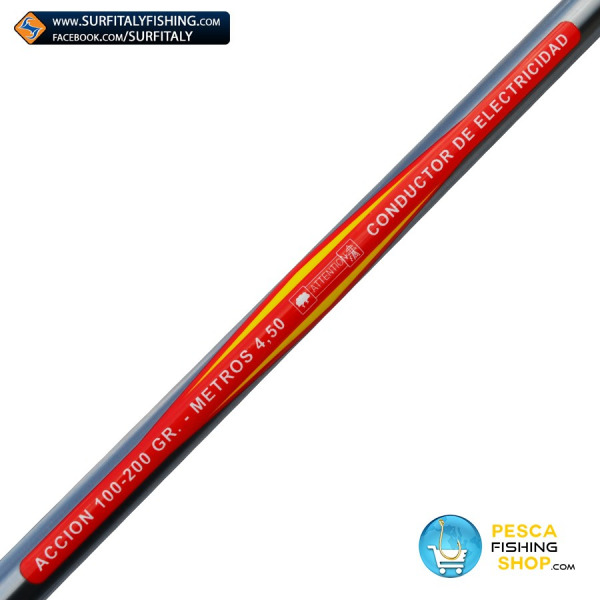 This rod runs perfectly all the weights in the range between 100 and 180 grams. 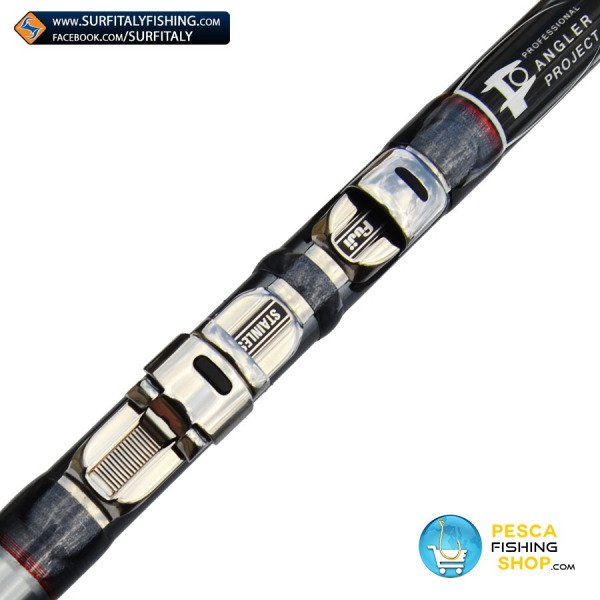 The particular elastic response, rapid and accurate, is capable of increase casting distances. 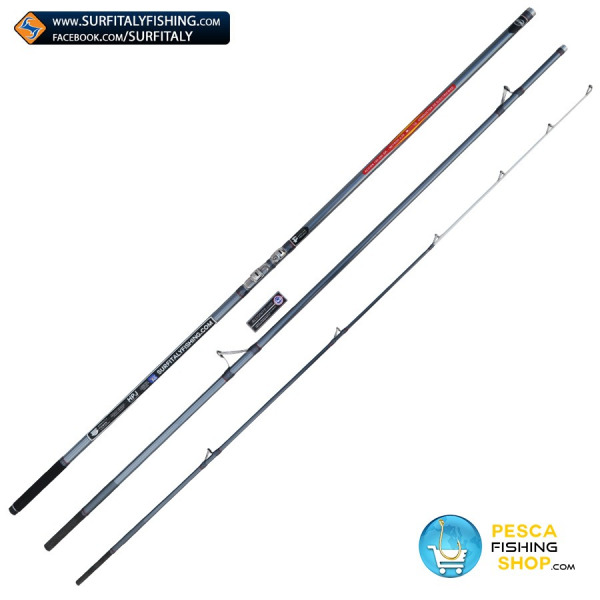 Definitely the rod suitable for anyone seeking equipments with high level technical peculiarities.